Kaguya Acupuncture was set up by Selena Collins. 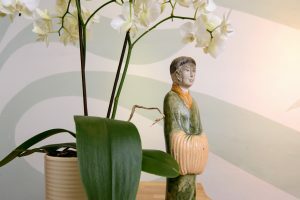 Using Traditional, 5 Element and Classical Stems and Branches acupuncture as well as moxibustion and cupping techniques, treatments are formulated precisely for each individual. Acupuncture takes a whole person view to address symptoms and root causes of conditions to support your body to use its own innate healing ability. Some people use it to maintain balance and harmony in good health. If you would like to find out more, please take a look at the dedicated pages or email using the contact page or call 07787537742 for an informal chat.